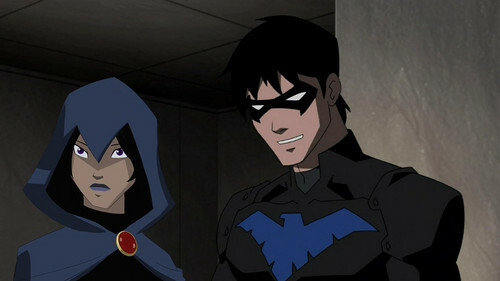 raven and nightwing. . HD Wallpaper and background images in the Young Justice club. This Young Justice photo might contain ski mask. *screams* If raven was replaced by a character I would have enjoyed her being on the show! Even If she was replaced by Zatanna.